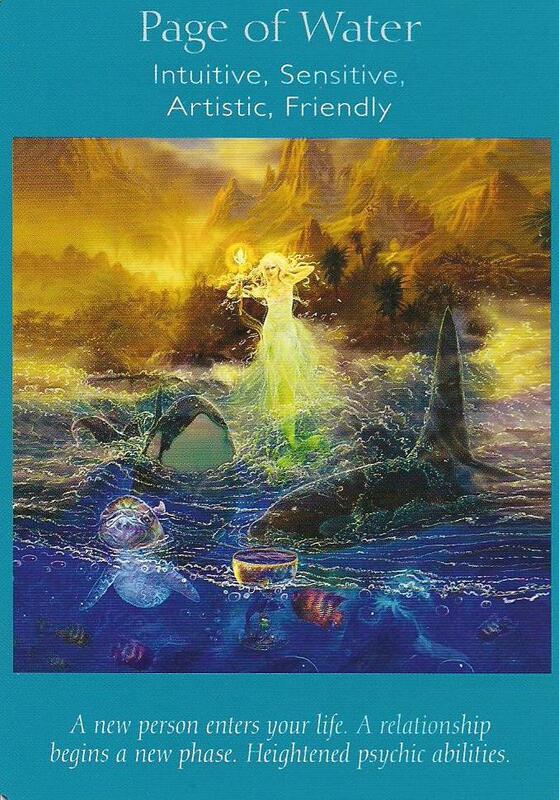 Weekly Card Reading: December 1-7, 2014 – Express Your Inner God(dess)! I am in the process of migrating to a new site so I will link this to it. I will do this over the next few weeks, and I would love it if you would join me over there. Thank you so much for always taking the time to share in these readings with me! This week is all about caring for ourselves inside out. 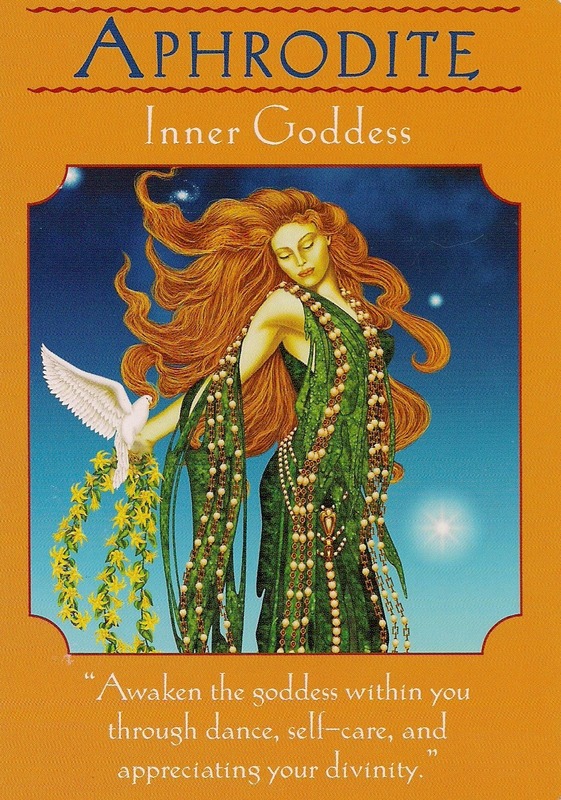 Aphrodite shows us that we are at our best when we allow our inner goddess to shine brightly. This is a time to explore our beauty and to call it forth to be expressed outwardly in the world. 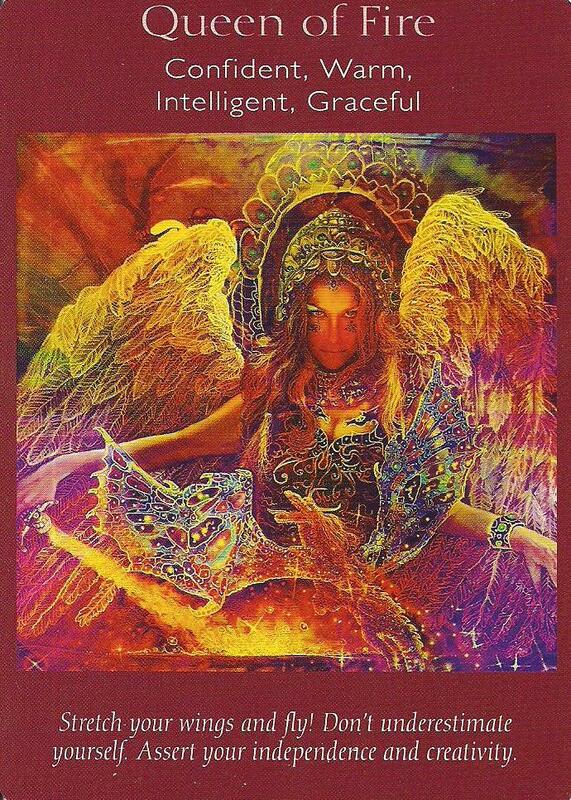 Let your masculine energy be tempered and balanced right now through the expression of all that is feminine. Dance, sing, wear clothes that feel beautiful and sensual on your body. This goddess shows us that unabashed sexual expression is healthy when it is fully claimed and honored by us. Read more at www.janetraftis.com. Categories: Uncategorized | Tags: aphrodite, brigit, Certified Angel Card Reader, Doreen Virtue, Goddess Guidance oracle cards, Janet Raftis, psychic readings, vesta, weekly card reading | Permalink. 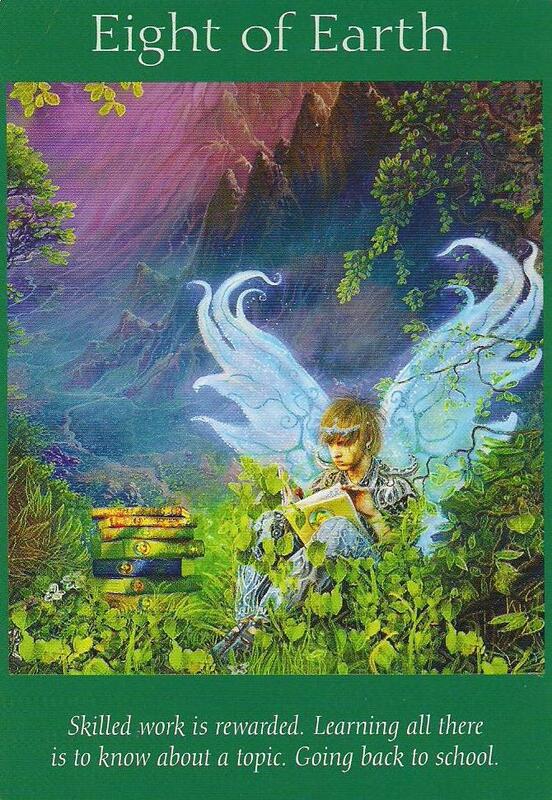 Weekly Card Reading: November 3-9, 2014 – Make a Wish! Happy times! We begin this week with The Star card – what a beautiful omen! We have put in a lot of hard work and now we are being reassured that we are on the right path. We are being guided by the North Star and it’s time to settle in and make long term plans. This doesn’t necessarily mean that there won’t be any more healing or clearing to do, but it does bode well in that we’ve gotten to a space in which we can now perceive that abundance (in all ways) is close at hand. Faith and trust are your key words right now. 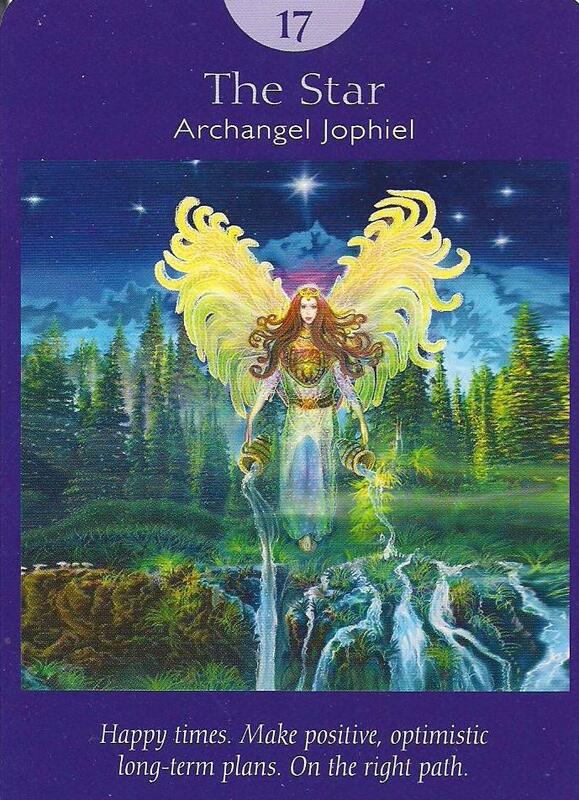 Archangel Jophiel is holding two urns and she is allowing the water from them to flow freely into the stream below, which represents Universal Consciousness or Spirit. She is calm and at peace, knowing that her supply is forever renewed. When we can sit in this faith, all of our desires can manifest. This is a card of hope, but hope grounded in positive and attainable goals and vision along with action. The Star is one of the “wish” cards in the deck, and this leads us nicely into the next card for the week, The Hermit. We’ve cleared our path, so to speak, of the major debris that was blocking us. We’ve climbed the mountain and we have a lantern lighting our way. We can wish upon a star, but our wish will take root more fully and solidly if we take some time to reflect upon what it is we truly desire. We have shifted and changed a lot over the last several months or more, and our dreams and wants have most likely changed accordingly. Clarity, as signified by the shining light, allows for the path to light itself. Our path of self-discovery is still unfolding, and it may even be helpful for some of us to find a mentor at this time to aid us at this stage. This same message came through just a few weeks ago, so if you’ve been considering this, but have yet to move forward, consider this more than just a gentle nudge! If you have, continue to dig in with your teacher and allow for your light of knowledge and understanding to grow brighter. There are fireflies flying around the lantern itself, indicating that your inner light is glowing strongly at this time. We have an ultimate outcome card for this reading, and one that confirms the message of The Star. 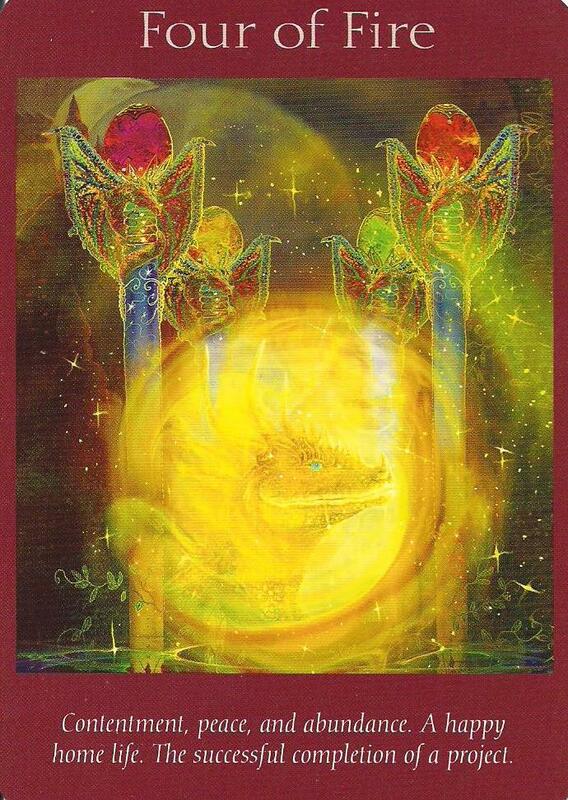 The Four of Fire is a beautiful card, one that assures abundance, again, in all ways. The four posts indicate stability and the glowing flame within always reminds me of a happy hearth. This card assures comfort and safety at home along with financial prosperity. Whatever project or goal you’ve been working on may see its way to completion soon. Also of note is that all three of these cards have a significant emphasis on the cosmos and a glowing light. We are being shown that we are wrapped in Spirit’s embrace and that the Universe cares for and provides for us. The Four of Fire is another one of the few wish cards in the deck; know and trust that your wishes are heard and that when you maintain faith and positive focus, they are always answered. 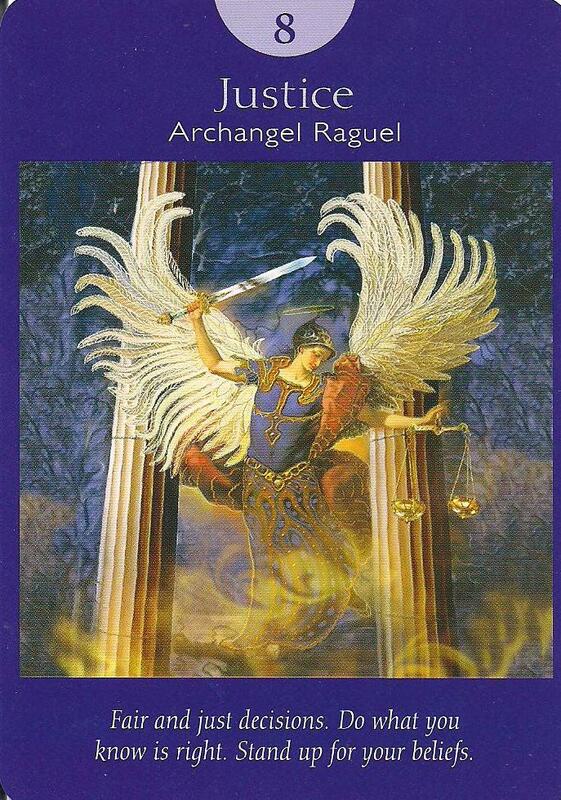 This week’s reading is from The Angel Tarot by Doreen Virtue and Radleigh Valentine. Categories: Uncategorized | Tags: Angel Tarot, Certified Angel Card Reader, Doreen Virtue, Radleigh Valentine, Tarot cards, weekly card reading | Permalink. You know that thing that you’ve been thinking about? That idea that keeps popping up over and over again that feels really good but that you keep kind of sticking on the back burner? Well, it’s time to take it out and have a really good look at it. This desire, this little thing that keeps whispering in your ear – it wants your attention right now, and it won’t let down until you address it. The Eight of Earth comes through first in this reading to let us know that there may be some sort of education that needs to occur in order to breathe life into this idea. For some of us it may require going back to school, but for others it may be as simple as doing some research or seeking out some sort of mentor with whom we can apprentice. This is a passion project and this card reassures us that your skilled work will indeed be rewarded as long as we take the time to do the footwork needed to get it off the ground. And really, the message couldn’t be any clearer. The Queen of Fire is all about putting your beautiful and fiery self out there in the world with confidence and full-knowledge of your power. Connect into your creative talents to bring your desires to life. This extends beyond just the project itself and into how to manifest it. We may need to think outside the box on this one. We need to do our research and we need to follow rules and guidelines, but our greatest triumphs can occur when we allow our intuitive, creative minds to work alongside the logical minds. This is not a time to play small. When we understand our true power and ingenuity, we can use the element of fire to transform and birth our wildest dreams. The Knight of Earth rounds out the message for us: We must buckle down and get things done! It’s time to move through the planning stages and get fully into action. This includes acquiring the education or training needed as well as coming up with a firm action plan that can allow us to take our initial steps. First and foremost, we have a commitment to ourselves to honor our soul voice in the world. When we deny this voice, we feel imbalanced, stunted and less than authentic. Allowing for our dreams to manifest in the world does a great service to everyone as it promotes inspiration, joy and integrity with one’s truth. This card is also the guardian angel card. 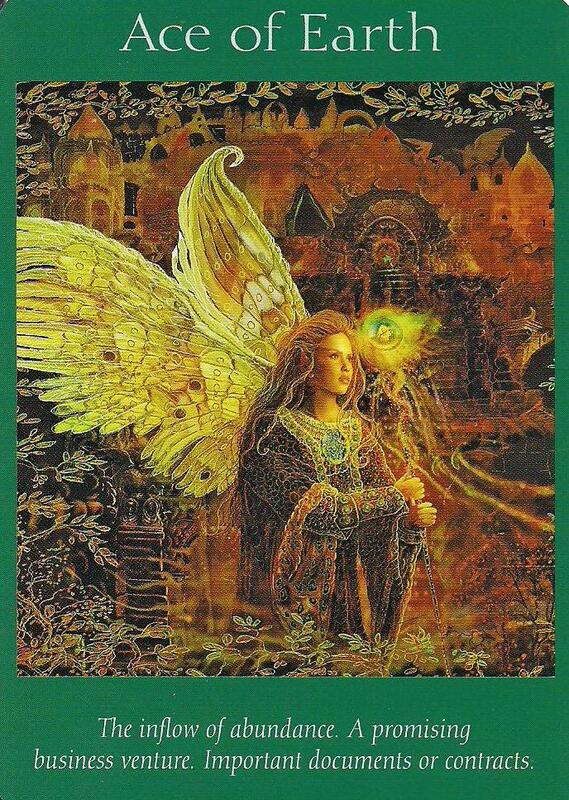 Know that you are supported on your journey and that your angel is at your side wanting to help you. Ask for guidance and to be shown the next step and then allow for the message to come through. Be open to the many ways in which our angels speak to us and be aware of synchronicity. Magic is all around us when we are open to seeing it. 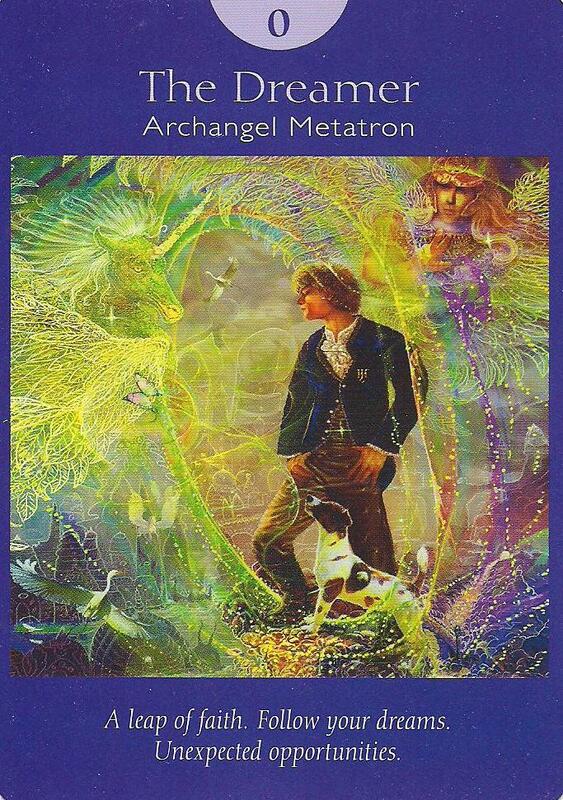 This reading is from The Angel Tarot by Doreen Virtue and Radleigh Valentine. Categories: Oracle Card reading | Tags: Angel Tarot, Certified Angel Card Reader, Doreen Virtue, intuitive readings, psychic readings, Radleigh Valentine, weekly card reading | Permalink. 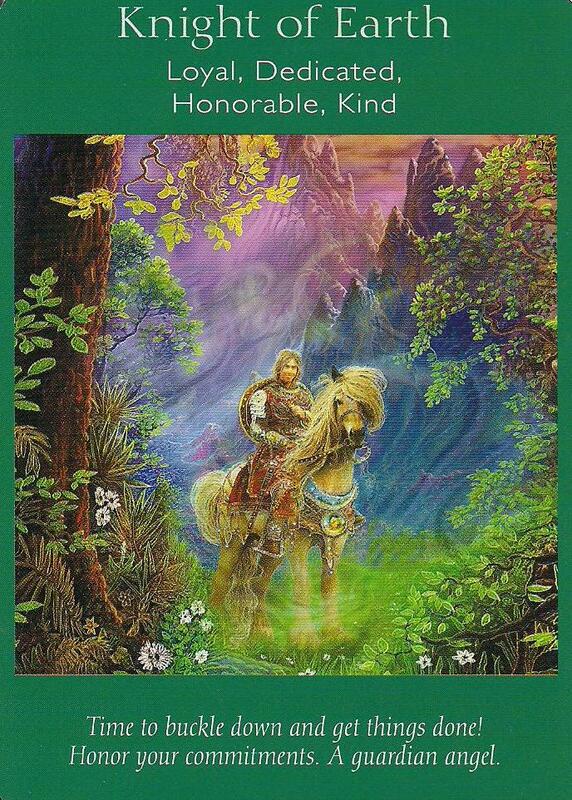 Weekly Card Reading: August 11-17, 2014 – Trust Yourself! We start our week with a heightened sense of intuition. The Page of Water shows us that this is a time to trust yourself above all others, even those that have your best interest at heart. If you are feeling lost or confused, rather than looking outward for answers, take the time for inner reflection. Ask your heart what feels best and trust the sensations that you get. Does it feel open and expansive or is it constrictive? This may be an emotional start of the week for you as well, and we’ll be coming off of a super moon, so be aware that feelings and emotions that have lain dormant may be coming to the surface. This card is also indicative of relationships reaching a new level. This can be with another or it can be a deepening of the relationship we have with ourselves. I feel this to be true for most of us – connecting inward and trusting our intuition will open many new doors of understanding. Mid-week, The Dreamer comes through to tell us to go for it. This is the leap of faith card. You’ve taken the time to connect within and perhaps you’ve heard your heart’s whisper. Now may be the time to honor that call. What are your dreams and what have you been doing to achieve them? 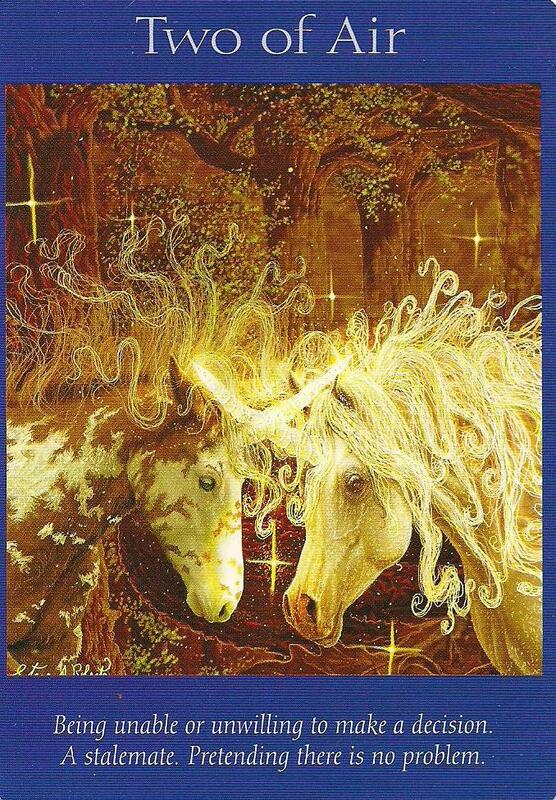 This card also shows unexpected opportunities come your way as you open in trust to all the Spirit desires for you. This is a magical card and magic is all around you right now. If you do feel that it is time to move forward, be sure to plan your exit. A leap of faith is a powerful expression of trust, but it is also prudent to be sure that you have your affairs in order so that you can alleviate any potential stress that may block you. 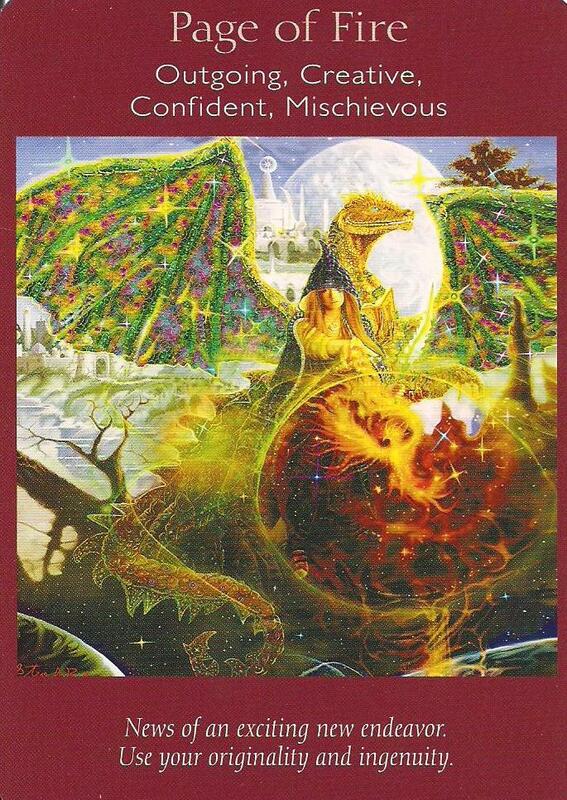 Part of the preparation for the leap is validated by the Eight of Earth card. There may be more that you need to learn before you jump right in. Take some time to research and to talk to others that may have experience in the area of your interest. It may require going back to school, and if you have been considering that option, this is confirmation for you to move forward. For many of you, formal schooling won’t be necessary, though cracking a few books and also delving into some hands on learning would be beneficial. Categories: Uncategorized | Tags: Angel Tarot, Certified Angel Card Reader, Doreen Virtue, psychic readings, Radleigh Valentine, weekly card reading | Permalink. Wow! We start the week with the Page of Fire, which heralds an exciting new opportunity, and you are being guided to accept it wholeheartedly. This endeavor may be challenging, but it will be in a very positive way. There is a high likelihood that it is creative in nature, but regardless of whether it is or not, it will stoke a feeling of passion within you. Approach it with an open mind and an open heart, trusting that Spirit has brought it to you in answer to your prayers. This is a chance for you to really show people what you’ve got so don’t hold back! Use your enthusiasm, curiosity, creativity, and sense of mischievousness to bring a fresh and fun approach to this project or job. It is highly likely that this opportunity will bring an inflow of abundance to you, as shown to us by the Ace of Earth. Stand confidently in your power to accept and draw in this flow, trusting that you are worthy of it. Feeling strongly in your power and open to infinite possibility allows abundance to find you easily – it is as if you become a beacon for it. Coming right after the Page of Fire, it is likely associated with the new project or opportunity that comes to you, but it may be due to another factor as well, or it could also be an additional venture that creates even more prosperity for you. Don’t be surprised if you are offered a raise or promotion or if someone approaches you with an investment opportunity. Money may arrive from an unexpected source as well. If you are starting your own business, this card comes to let you know that it will most likely succeed. You can trust that your foundation is strong and that it will create a prosperous outcome. The Justice card shows up to remind us to remain fair, just, and balanced. It is likely that you are trying to make a decision, and so the angels want to remind you to be judicious in your thinking. It is important to be sure that the decision upholds the highest good of all involved. If you take the time to go within and to listen to your inner voice, you will know what decision to make. 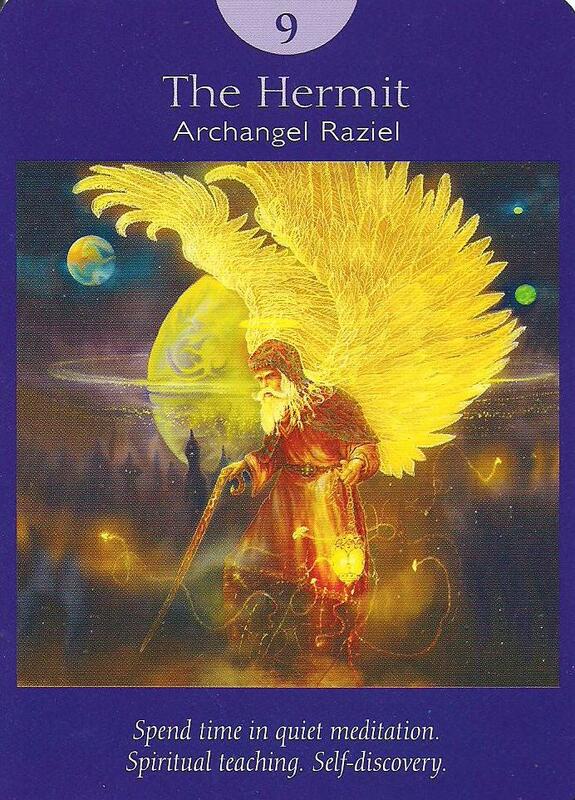 Archangel Raguel creates harmony in relationships, so call on him if you find it difficult to arrive at a solution that does so. If you still do not feel able to make a fair and objective decision, you may need to seek out someone that can work as an arbiter for you. Don’t be afraid to stand up for what you believe in, but know that you must also take responsibility for you actions. If you owe someone an apology, this card comes as a gentle nudge to take care of your side of the street. Categories: Uncategorized | Tags: Ace of Earth card, Angel Tarot, Certified Angel Card Reader, Doreen Virtue, Justice card, oracle card reading, Page of Fire card, psychic readings, Radleigh Valentine | Permalink. There is a lot of potential for this to be a great week if we can stay focused and out of our own way. We begin the week with the Nine of Water card. This is great! This card is also known as the “wish card.” Things are looking really good right now and that which we having been trying to manifest is finally becoming a reality. Expect this to happen soon, if it’s not already – this card usually indicates that your good fortune is at hand. With this we are feeling the effects of the positive energy: worry slides away, we are laughing more, and our love of life is at a high. It is truly a time of success, celebration, and love. We have seen manifestation cards in the last two weeks as well, so this is powerful confirmation that we are still working within these energies. And while it is important that we enjoy and even revel in the good feelings that we are expressing right now, we must also remain focused. Mid-week, Knight of Earth shows up to remind us to get things done. The Earth suit is concerned with manifestation and so keeping our intentions honed and doing the work to create them is necessary right now. The joy that we are feeling at the moment is a powerful ally in manifestation so put it to good use! By infusing your work with an attitude of fun along with focus, much can be accomplished. There is a second meaning within the first two cards that I want to address as well. Some of you have been hoping for a love relationship to come into your life. Now may be the time. When it comes to love, the Nine of Water indicates that there is great opportunity around for meeting people, and in my readings, I’ve always perceived the Knight of Earth as being a sort of “Prince Charming” card. With that in mind, this is a great time to be out mingling and meeting people. If you see someone that peaks your interest at the coffee shop, go ahead and introduce yourself – you may be in for a great surprise! If you are in a relationship already, you will likely experience a deepening of your emotional bonds. Around the end of the week we may start to get in our own way a bit. The Two of Air indicates that there may be something that we aren’t looking at going on around us. Denial is not a great place to be right now. Be sure to keep your eyes open and up. If there is a decision that you’ve been avoiding making, now is the time to take care of it and move forward. You have a lot of positive energy working with you and creating an energetic stalemate will only form blocks in it. The idea is to keep the good vibes moving, and in order to do that we must be honest and open with ourselves, as difficult as that may be. Remember that knowledge and awareness are power in moments like these, so recognizing where the block is forming and moving through it allows you to keep up your great momentum. Categories: Uncategorized | Tags: Certified Angel Card Reader, Doreen Virtue, Knight of Earth card, Nine of Water card, oracle card reading, psychic readings, Radleigh Valentine, Tarot card reading, Two of Air card, weekly card reading | Permalink. 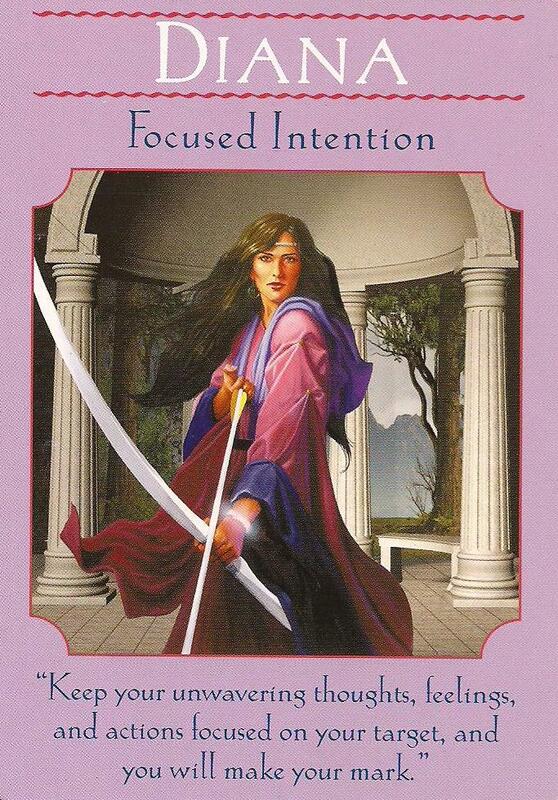 Diana shows up with the message to begin your week with unwavering focus and a strong sense of groundedness. When you are adequately centered and grounded, it matters not that your branches may waiver; you will continue to grow and expand with steadfastness and upward direction. Take stock of situations, noticing where your foundation is weak and what needs attention in your life, decide what to do about it, and then stick to it with a firm resolution. By focusing on the target, you are able to travel your path with clarity and tenacity. Use the masculine energies of the hunter along with the feminine energies of nature and the wild for best results. Remember that success typically is bred of balance and focus; when we combine these attributes, our aim is never beyond reach. Mid-week is a powerhouse for you. Isis is an extremely mighty deity, and like Diana, she exhibits a balancing of both masculine and feminine energies. She goes about her activities as Divine mother with strength and a business-like attitude, and she is capable of all sorts of magic and alchemy. You too are focused and tough and it’s time to utilize your tenaciousness for your highest good. No more waiting. Life shows up for you again and again but you have to be willing to respond and move forward. Take a look at where you feel stuck. What is behind that feeling? 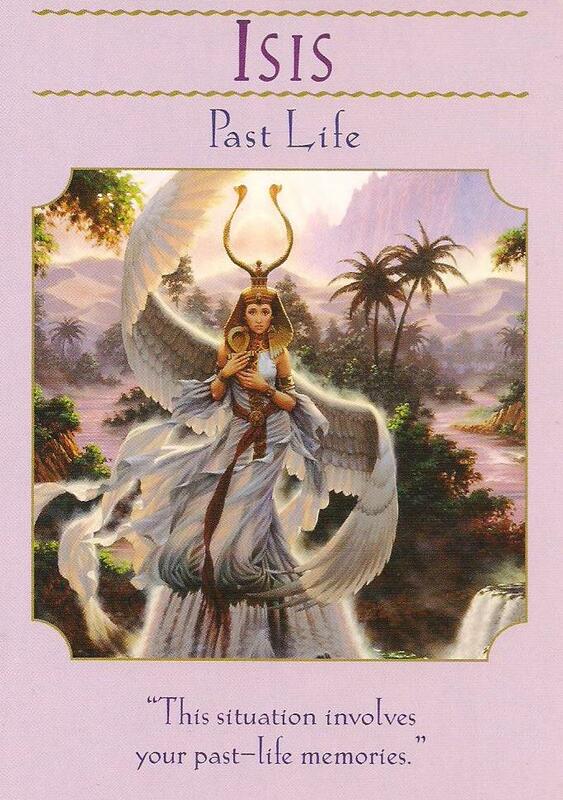 Isis brings a message to you that the roots of your problem(s) may stem from early or past life conditions. If you feel something to be karmic, in that you are having difficulty freeing yourself from the pattern, you may need a healing session or a regression to get to the bottom of it. Maintain the focus you integrated at the beginning of the week to help you clarify your understanding of the matter so that it may be released. Now that you have spent the first part of the week gaining clarity and focus and looking at blocks that may be holding you back, it’s time to channel your creative spark so that you may bring your idea to life. 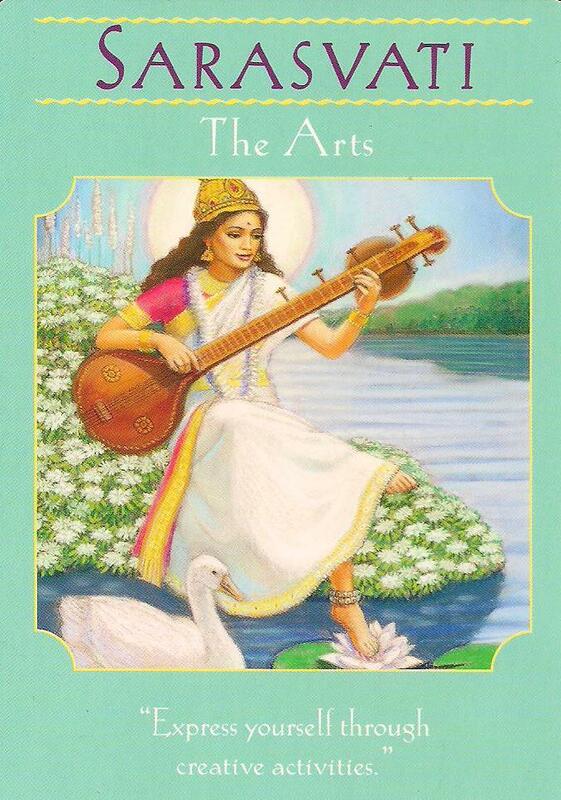 Sarasvati is the goddess of the arts, and she reminds you that the process of creation itself is divine in nature. Spirit expresses itself through you every time you create something new, and by being in a space of Divine-in-action you are able to bring your brilliant ideas to fruition. This card is also a reminder to enjoy the arts over the weekend. This may present itself as a concert, a trip to a museum, or in a personal creative endeavor. The point is to have fun and let your hair down – you’ve earned it! 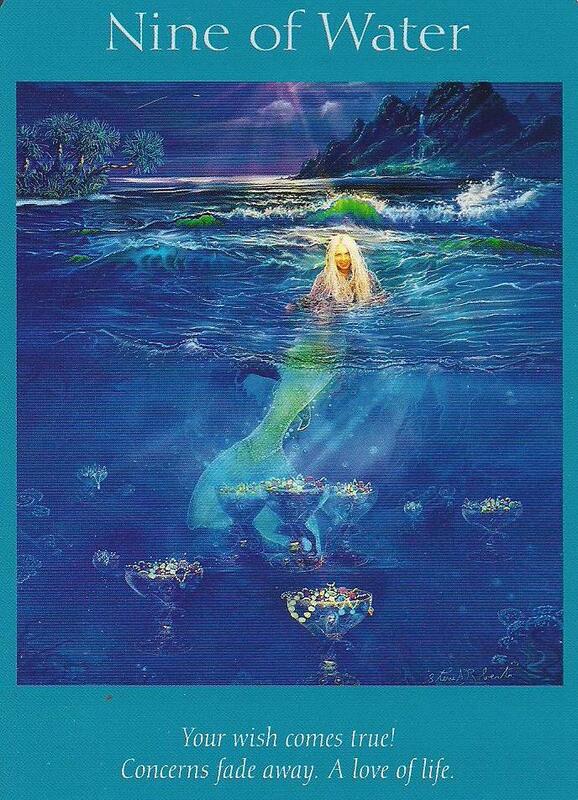 This week’s reading is from The Goddess Guidance Oracle Cards by Doreen Virtue. Categories: Uncategorized | Tags: Certified Angel Card Reader, Doreen Virtue, Goddess Guidance oracle cards, oracle card reading, psychic readings, weekly card reading | Permalink.